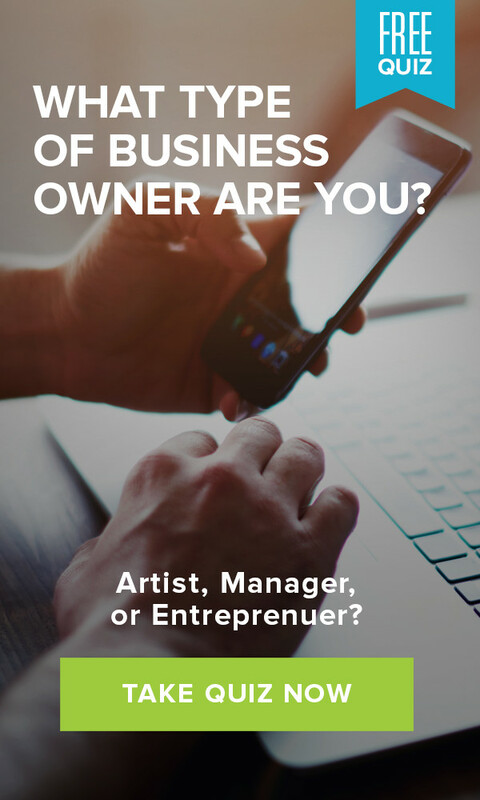 Do you know the results you want to achieve in your business? Many business owners and managers understand where they want to go, but they don’t have the roadmap to get there. Of course, knowing where you want to end up and having a concrete path are very different things. Business action plans are effective tools to take you from point A, where you are now, to point B, your version of success – but Tony Robbins suggests something even better. Once you have absolute clarity about the exact result you want and why you must achieve it, the next step is to create the MAP (Massive Action Plan) to get yourself there. Using a MAP goes beyond goal setting; it changes the emotional meaning behind all of your activities and forms a stronger link back to the outcome, making it more likely you’ll achieve it. Recognizing you need a MAP and knowing how to make an action plan are two different things. Fortunately, there are some simple questions you can ask yourself to develop a plan that works for you. While not all maps will be the same due to your unique goals, your working style and the structure of your company, they do all have some similarities. When you’re creating your MAP, ask yourself, “How much?”, “By when?” and “For what purpose?” Then write it down. Make it a permanent, tangible expression of your mental target. The “For what purpose?” question is the key to make it all work because, as any good life coach will tell you, it connects your values and emotions to your goals. If you are not able to visualize, verbalize and write down why you are pursuing a goal, it’s likely you have not formed the connection needed to make it a reality. Exercise: Are you committed to take massive action? 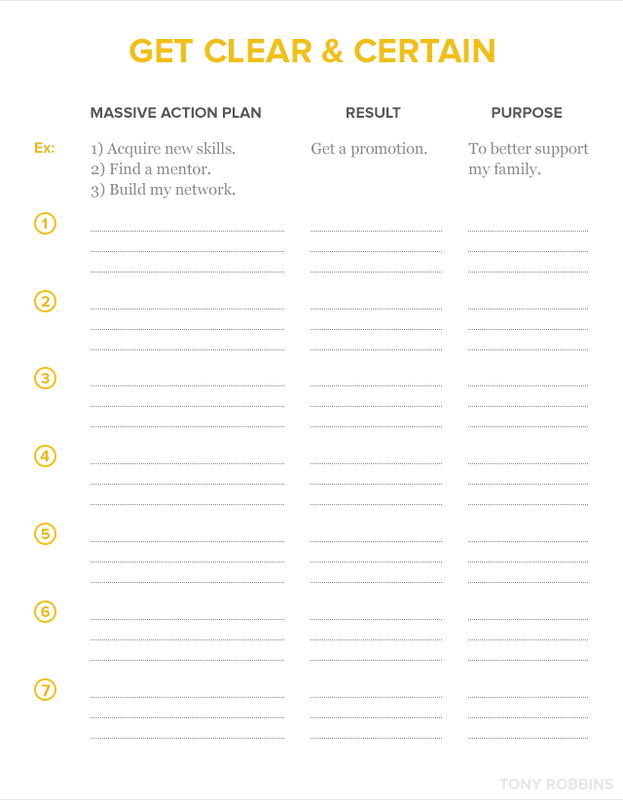 Complete your own Massive Action Plan in the graphic below to help you stay on track. Write down the results you want to achieve. Write down your purpose (compelling reasons why you want to accomplish your goals). Develop a sequence of priority actions. Business action plans can be used to generate growth for your company as long as that growth is connected to your value system and you understand why you’re doing it. When developing a MAP for growth, be as specific as possible when writing down the results you want to achieve. “Doubling sales” is not going to cut it for a MAP. You should also take a look at your entire organization and how it will be affected if your goal is achieved. For example, if you want to increase sales by $1.2 million in the next 12 months, how many new team members will you need to hire? Will you need a new building? How will that increase costs? All of these should be included when you’re writing down your Massive Action Plan. A MAP can also be used to guide your company through a crisis. This business action plan will need to address issues like being a resource for your employees, having compassion and developing a process that can be replicated should another crisis occur. 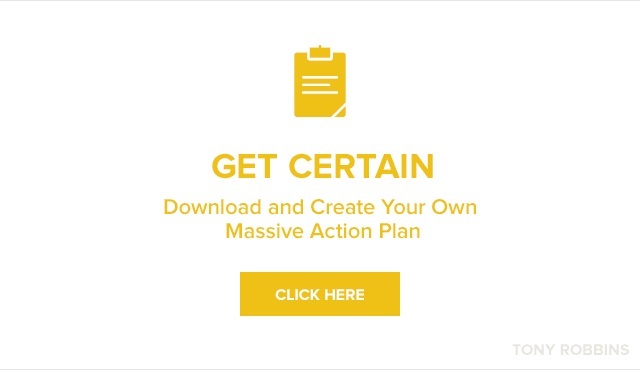 Are you ready to take massive action? Take your business action plan to the next level by attending Business Mastery, where over the course of five days you’ll be surrounded by some of the best minds in business that can help you tap into your drive for success.